Amandine Gay’s documentary “Ouvrir la Voix” confronts a political and historical paradox: the illusion of color blindness that’s central to the French national self-image. 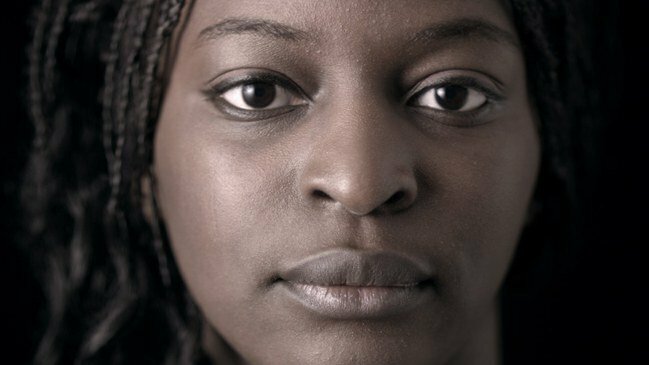 OUVRIR LA VOIX/Speak Up is a feature-length documentary on black female Afro-descendants in French-speaking Europe (France and Belgium). This film project was born from my desire to occupy the public space and explain why the racial question in France is an eminently political problem. Whether born in France or not, French parents or not, Muslim, Catholic, agnostic, Jewish, atheist, lesbian, hetero, bi, pansexual, cis or transgender, what society sees about us is above all, our skin color. Since my experience as a black woman is necessarily limited and subjective, it seemed necessary to give the floor to women different from me in order to draw a political portrait of black women in Europe and France as multiple as the realities and identities it includes. For about 80 years critical theories of white supremacy, class relations and patriarchy have emerged . These theories have been articulated by intellectuals such as Claudia Jones, Ella Baker, James Baldwin, WEB du Bois, Franz Fanon, Alice Walker, Maya Angelou, Aime Cesaire, Audre Lorde, etc. And although these tools have been available for so long, the fact that the level of daily feeling and material living conditions of black women has changed – little has changed: greater economic precariousness, more likely to be victims of physical or symbolic violence. combination of negrophobia and sexism) etc. How do we change the paradigm for black women? How do we disseminate these ideas, reflections, tools for preserving self-esteem and guaranteeing the emancipation of the entire black community? I therefore consider this film in the spirit of a sociological inquiry, even if the militant and artistic dimension is affirmed. In sociology, the principle of the presentation of the person conducting the inquiry is called: situating one’s subject. And that is my intention: to know where I am from. I therefore choose to use my presence in this film as a guide to the themes that will be addressed, introducing each topic by a personal anecdote. My life has led me to apply for permanent residency in Quebec, but among the interviewees, we will meet as many women entrepreneurs – who are determined to settle permanently in France – as women who have already left or are planning to leave. This is our collection of anecdotes!! These women’s experiences highlight why us building the most comprehensive directory of organizations across Europe that support black women is vital work. If you know of organizations in France, Belgium and in other European countries, send their names and website links to contact@bwiesmg.org. I was told from a reliable source that Gay was unable to secure financing for her film in France. She relocated to Canada to complete the project. If you know otherwise let me know. I am one of several women who talk about being a black woman in Europe in 2007. You can listen to the Podcast here. Previous ArticleI laugh a lot because I am a dork and a legend in my own shower.